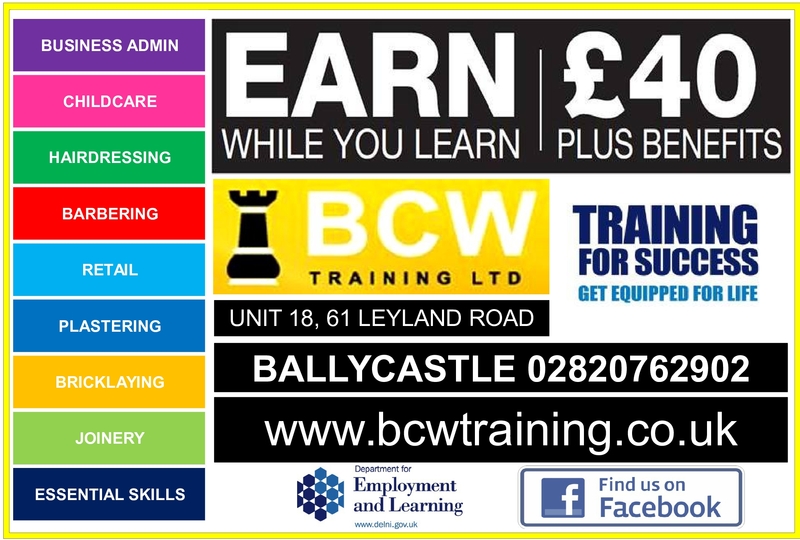 EARN WHILE YOU LEARN!!! We are now recruiting for the TFS Programme for our 2016 September intake. If you’re aged 16 to 18 and are interested in any of our vocational areas then get in touch. 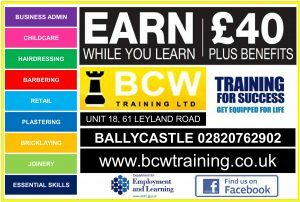 Send us a message or give us a call on 02820762902. 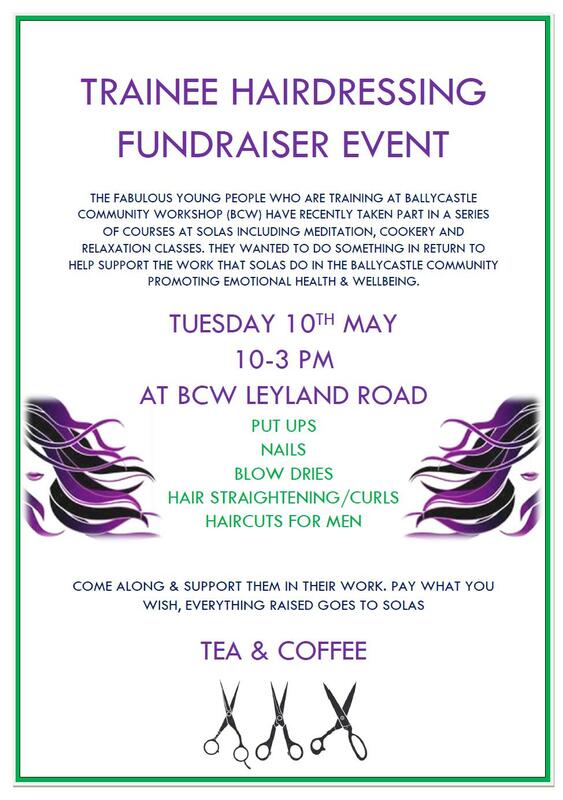 Our hairdressing trainees are having a fundraising event. 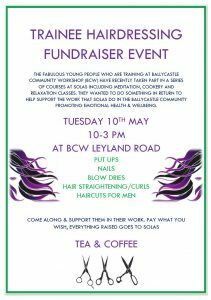 Come along and support them in their work. Pay what you wish, everything goes to Solas. Solas Moyle helps people to improve their mental, emotional and physical health.